The Celtics beat the Cavs 99-90 tonight at the Quicken Loans Arena in Cleveland, where Bron Bron’s squad hadn’t lost a game since January 7th. Cleveland looked disinterested tonight to say the least. A lot of sloppy passes and missed free throws. The Celtics were certainly helped out by the absence of Kyrie Irving and the fact that LeBron and Kevin Love both sat out the entire fourth quarter, but this is a huge win nonetheless. Boston remains the 7th seed with three games remaining in the season. Brooklyn sits in the 8 spot with Indiana one game behind them. The C’s can’t afford to lose focus as two losses combined with three Pacers’ wins could bounce them from the postseason. The star of this game for the Celtics offensively was Marcus Smart who finished with 19 points on 7-10 shooting. Avery Bradley added 15 of his own and Isaiah Thomas scored 17 off the bench. Jae Crowder and Jonas Jerebko both made a huge impact with their hustle, especially Jerebko on the offensive boards. Tyler Zeller and Brandon Bass continue to be effective. Zeller finished with 13 points and 6 rebounds and Bass contributed 12 and 5. These performances were much needed as Jared Sullinger continues to look lost and out of shape. He says he lost 20 pounds but I’m not sure I believe him. Hopefully he can turn it around in time to make an impact in the playoffs if we can hold our spot. 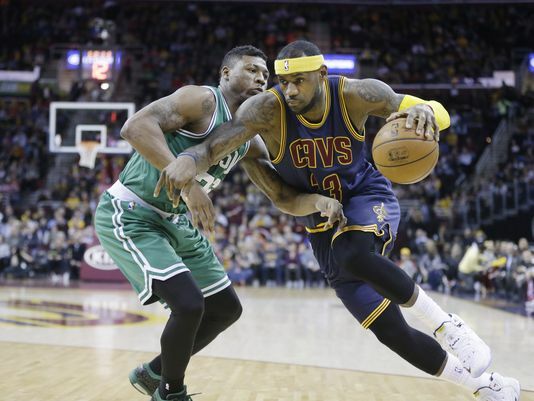 The playoff push continues on Sunday as the Celtics take on the Cavs again, this time at The Garden.